This RD 514 from the Perfect Rouge series is literally love-at-first-sight from the moment I saw it on display, and eventually liked it after swatching. It's a lovely shade of red that is really striking especially on my "morena" skin. The first time I used this lippy, hubby did a double-take, hahaha. I guess the color is more vibrant than the shades the I usually use. I asked him if he's reaction is a YAY or NAY but he said he's okay with the shade. And its a happy coincidence too that RD 514 is also called "Dragon." Very timely since we just celebrated Chinese New Year. Want to read your fortune this year? Check this link --- Joey Yap's Year of the Rooster Forecast Part 1. 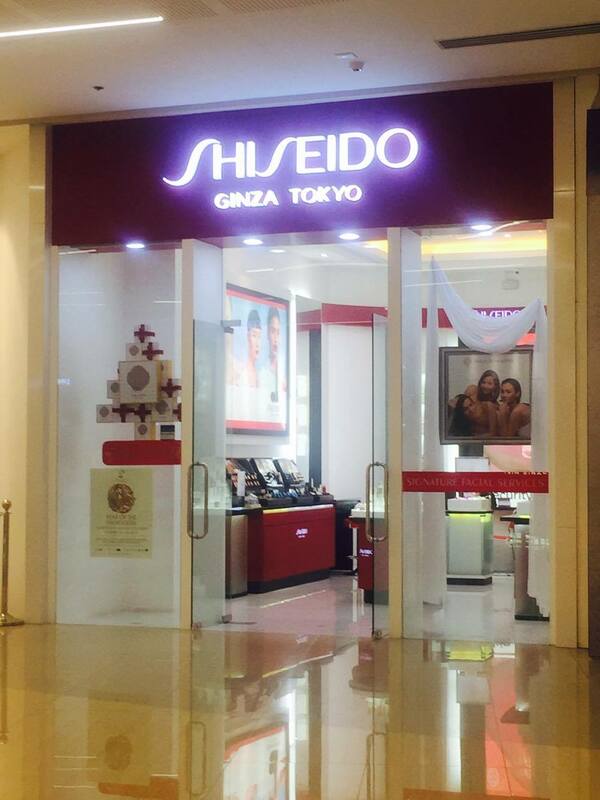 This is the newly opened Shiseido store at S Maison Conrad and located just near the Coral Way entrance. I love how friendly and helpful the staff is in answering my questions. 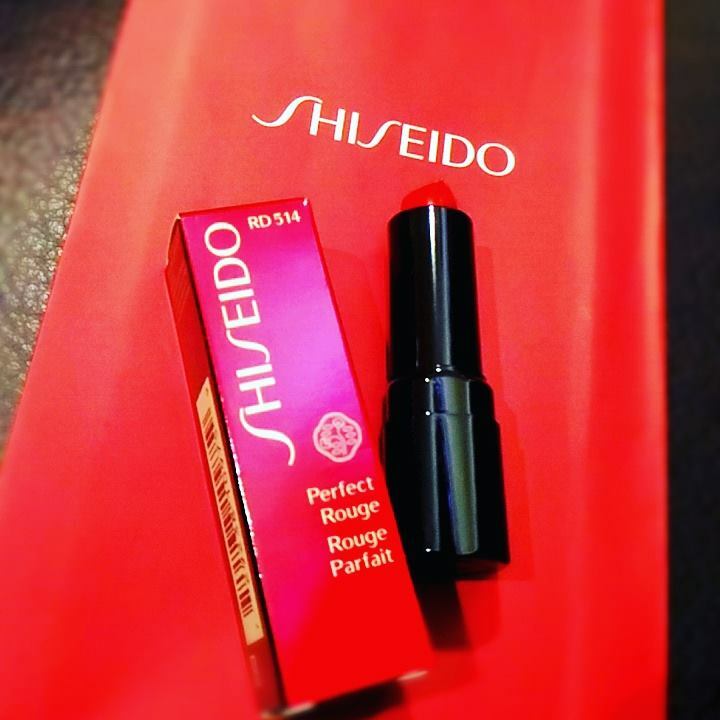 I need a new lippy because a new Shiseido Lipstick can turn my my day around! I feel great all day long when I have my signature red lip color on to play with! It means I feel more confident and beautiful. 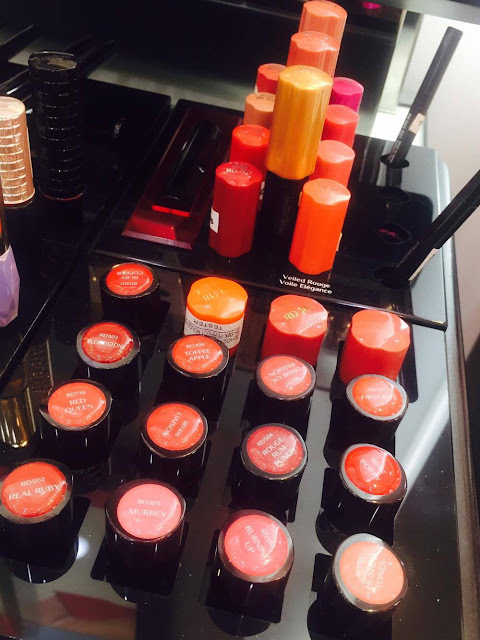 How much is Shiseido's lipstick? I need a new lippie. My daily makeup routine involves lippie and tinted bb cream and powder for coverage (blush only if i have a meeting). One can't have too many lipsticks! Shiseido is a nice brand. I love lipsticks as well. It hides my pale lips behind. Haha! Never tried Shiseido, though. But I think I love the RD 514 shade, too! I love Shiseido lipsticks. They're not drying and they're easy to apply. I need a new lippie because my current one is drying my lips out and I need kissable lips for Valentine's day.Those lippies are so vibrant! I need a new lippy because I want to give my look a newer version. This lip color from shiseido will help me let go from being a young adult into a fill blown woman. One can never have enough lippies! I am more of an eyebrow product fan, though. Too bad I missed this contest! I can relate, I have 4 lipsticks and will get another one this month. I don't know why I got into it but before I only had 1 trusted lippie in my bag. When you start collecting you can't stop na. What, the contest has already ended? Waah! I'm a lippie-lover. Can't leave the house without putting on lipstick. Shiseido brand has been around for so long. Parang ang classy ng brand na ito. Too bad it's too late for me to join your giveaway! I love lippies although I normally don't splurge on them. 7 lippies in a year for me is a LOT. Haha! I usually put on my make up in the car. One of my favorite shades are the Ruby red ones so this qualifies as one of them I guess. I love Shiseido brand. It has a lasting effect compared to other brands. The price though is not that too friendly but then the quality is real good. 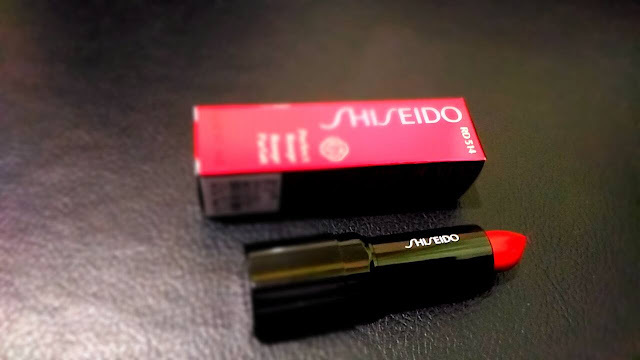 The Shiseido is one of the nicest brand . I need a new lippy because my old lippie was used by my daughter to draw her favorite flower SA wall. Kaya gosh, goodbye kay favo Lippie ko.hehehe!